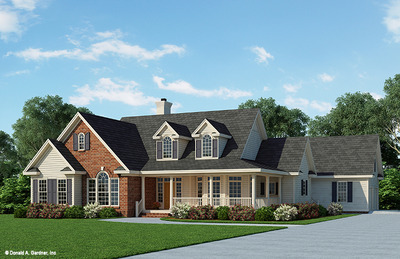 When picking out your dream house plan, it's important to consider if a detached garage design is best for you. 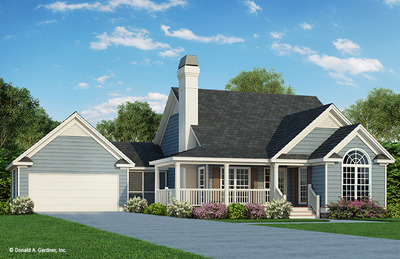 If you plan to use your garage for purposes other than parking a car, you may benefit from a detached garage home plan. Do you plan to use your garage as a space for a wood or auto shop? Do you want to use the bonus room above as a gym or a guest suite? Having a detached garage may provide more space and privacy, and limit noise from carrying to the main house. If you plan to use or store chemicals like fuel, paint, or oils, a detached garage will prevent these fumes from leaking into your home. Another important factor to consider is the shape and size of your lot. 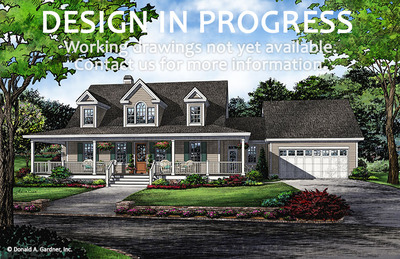 A house plan with a detached garage gives you more flexibility regarding the placement of the garage. It is much easier to modify the location of a detached garage if you need it to be positioned more to the side or rear of your home. While you won't have direct access to your home, detached garage home designs will often offer a breezeway between the garage and the main house entry to protect you from rain or inclement weather while you enter your home. 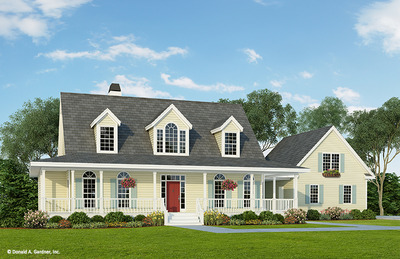 The Brunswicke home plan 1139 is a country cottage with a detached garage designed to the rear. 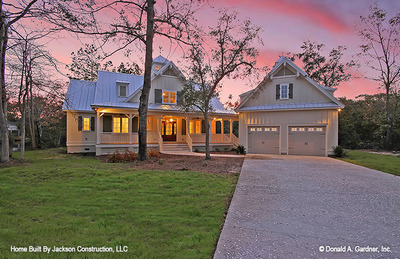 A covered porch connects the garage to the main house plan, keeping you dry while entering the home. 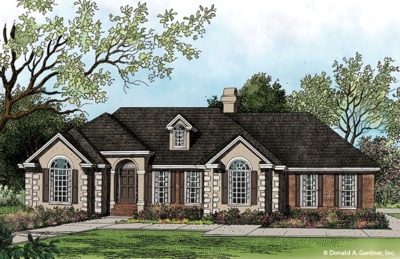 The Riva Ridge 5013 comes with an optional garage plan that is detached from the main home. 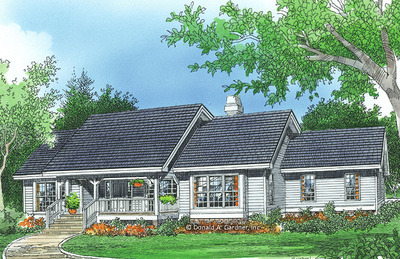 This allows flexibility for the homeowner to build the garage as a later project, if needed. 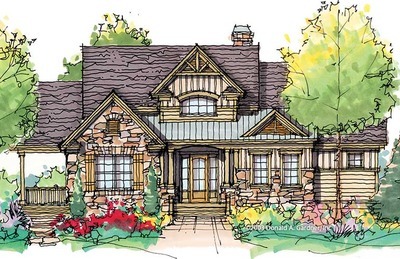 Some architectural designs are created without a garage and adding an attached garage to the home would change the roofline or overall look of the design. 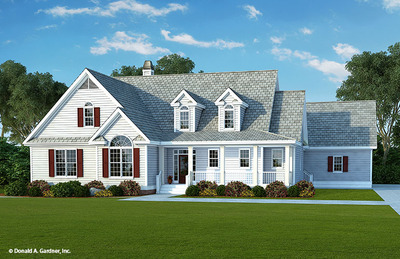 In this case, a garage plan can be added as a separate structure to protect the integrity of the home design. 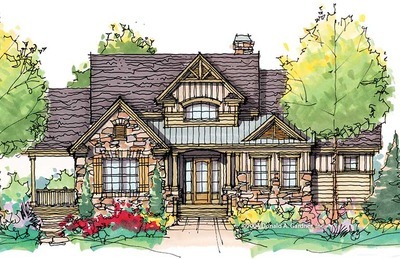 Whether you choose a detached garage house plan for aesthetic reasons or for functionality, Donald Gardner Architects has a wide variety of designs to choose from.